Hub Planner Account Owners or resources can request to delete their personal data or all personal data from their Hub Planner account. The ability to delete a resources personal information allows Hub Planner to meet the General Data Protection Regulation (GDPR) requirements. There are three main ways in which this can be achieved. The deletion of the resource is the most common approach and permanently deletes the entire resource including all personal data from the system. The following steps are to be followed. A request is made to the Hub Planner Account Owner to delete the personal information of a resource. The Owner logs into Hub Planner and deletes the resource from their account via settings page -> manage resources tab or using the API. This resource is immediately deleted from the system, and their personal data is scheduled for permanent deletion. Once you delete a resource, the resource data will exist for up to 30 days, giving you the opportunity to collect any data you wish or restore the resource again. After 30 days, the resource data will be permanently deleted and the resource cannot be restored from this point. Our routine backup jobs, will take another 30 days to delete from all backups in the system. You may delete your entire Hub Planner account which will delete all information for your entire account including all personal data from the system. An Account Owner logs into their Hub Planner Account. The Owner navigates to settings -> Billing, chooses to cancel their subscription and follows the steps displayed in the user interface to cancel their account. This company and all resources within the company are immediately deleted from the system, and their personal data is scheduled for permanent deletion. Once you delete your company, your data will exist for up to 30 days, giving you the opportunity to collect any data you wish or decide to try the service again. After 30 days, your data will be permanently deleted and your account cannot be restored from this point. Our routine backup jobs, will take another 30 days to delete from all backups in the system. If a resource data is to remain in tact, and you don’t want to delete it then you should take steps to anonymize the personal data. Take these steps if you would like to anonymize the personal data yourself. 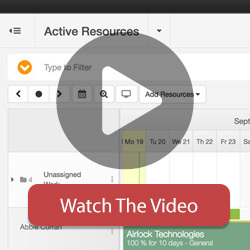 The Owner logs into Hub Planner and navigates to the specific resource. The Owner shall take responsibility to delete all personal data from the Hub Planner resource, such as name, email, and any personal data in custom fields. Take these steps if you would like Hub Planner to anonymize the personal data for you. The Owner contacts Hub Planner via privacy@hubplanner.com with the details of the resource. Hub Planner will delete/edit/anonymize all personal data of the resource, such as name, email address, profile photo as well as any personal data in custom fields. This request cannot be custom and will remove all potential fields where personal information could be stored on resource. The time data itself is not deleted if we do the anonymization in order to still run reports and get meaningful data. No, Hub Planner does not charge a fee for this service. However, should a request be considered manifestly unfounded or excessive, particularly if it is repetitive there is possible that a fee will apply to cover administrative costs in order to provide the information.